« [Travel] Bad Jimmy’s Brewing Co., Seattle – Habanero, Blood Orange and Carrot Cake, What? This is a full-sized serving, and I thought for $11.80 it’s a good deal. It would make a good lunch combo. My favourite item of the tasting. 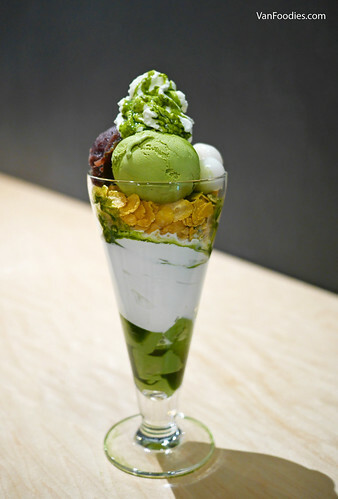 It includes layers of matcha pudding, vanilla soft serve, cereals, red bean paste, mochi balls, matcha ice cream and matcha syrup. It’s like a matcha bomb! 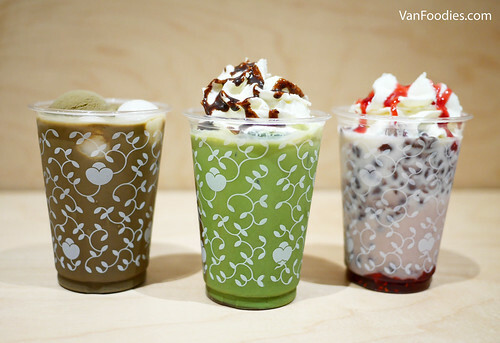 This is best to share between two people, so you can order more things matcha. And don’t forget to dig deep into the glass to make sure you get everything in one bite. It’s not your typical cake texture. 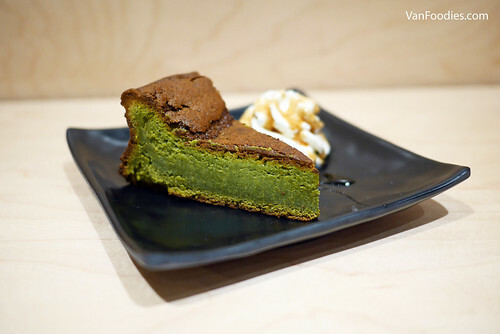 It’s a bit dense for my liking, but it had good matcha flavours. It actually reminded me of a baked sticky rice cake that my grandpa made for me once when he visited Vancouver. Another matcha bomb! The most surprising part was the matcha mousse in the centre. 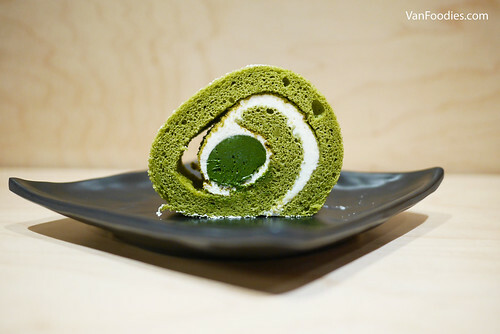 All the essence of matcha was packed in the creamy centre. 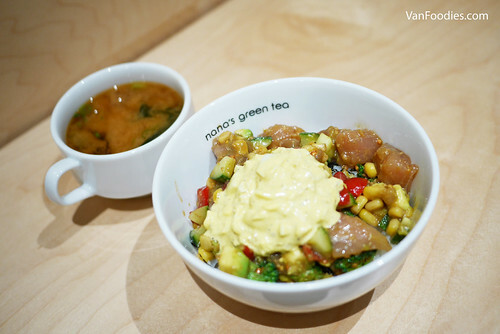 It’s intense, in-your-face matcha explosion. I was expecting it to be bitter, but it wasn’t. The cake itself had nice, fluffy texture. I can have so many pieces of this.